Originally from South Wales, I grew up in Leicester before completing my undergraduate degree in Economic and Social History at Liverpool. There I learned about slavery from a fantastic tutor, who really inspired my interest in American history. So I completed an MA in American Studies at Manchester before returning to Liverpool to study for my PhD on relationships between enslaved people. I also got to spend twelve months at the University of South Carolina! I taught at Liverpool University and Liverpool Hope University while a postgrad before taking up a temporary position at Newcastle University. I came to Reading in 1999. 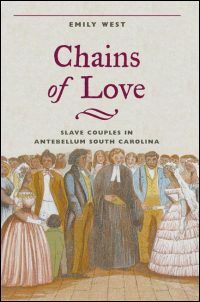 My PhD and first book (Chains of Love: Slave Couples in Antebellum South Carolina) focussed on the spousal relationships between enslaved married couples. At that time, most books on slavery focussed either on enslaved men, or enslaved women, but no one had written in an depth about these people’s most important relationships of all: with their spouses. Enslaved marriage was particularly interesting to me because American laws forbade slaves from entering wedlock because they were not legal citizens! But despite this, most slaves chose to marry according to local custom, and most took pride in their wedlock. 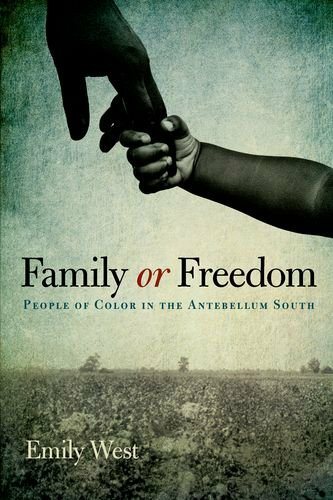 My second book (Family or Freedom: People of Color in the Antebellum South) looked at black people in the Southern states who, for various reasons, were born free rather than enslaved. I focussed (again) on their affective ties with enslaved people, especially through marriage, and also at the ways in which Southern whites attempted to either expel or enslave all free people of colour during the 1850s. My third book is a textbook entitled Enslaved Women in America, due out in 2014. I regularly give papers on my research and I have also published several articles and book chapters. I am now working on a project which looks at the extent and nature of wetnursing among enslaved women, where they used their own breast milk to feed white children. The practice has been fairly common across time and space where women have unequal power relationships. 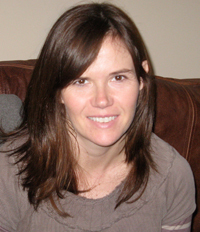 I have held various administrative jobs within the Department, including dissertation coordinator, visiting student coordinator, Part 3 exams secretary, MA director, and the director of Teaching and Learning. I am now Postgraduate Director. Outside the department, I am a member of the British Association for American Studies (BAAS) and British American Nineteenth Century Historians (BrANCH) where I served as secretary from 2003-09. Until 2012 I was also a convenor for the Institute of Historical Research’s seminar series in American History at the University of London. In 2013 I took on the role of series editor for the BAAS paperbacks series published by Edinburgh University Press. My job and two sons do not leave a lot of time for hobbies, but outside work I enjoy running (I have completed the Reading Half marathon three times), tending my garden and cooking.